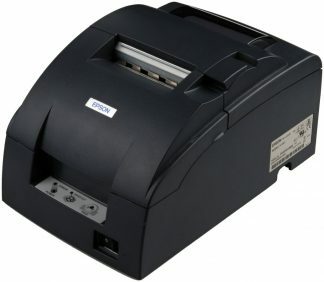 Lower Price on the Epson Tm-T82ii Receipt Printer with Usb and Serial Connection. It’s PC & MAC compatible. This version of the TM T82 comes in Dark grey (close to black) and has both the USB and serial ports. The Epson Tm-T82ii Receipt Printer is still built with the same care and precision as the flagship T88 series.It’s just not quite as fast as the T88V or VI, but, unless you’re printing over 200 receipts per day the difference isn’t noticeable. 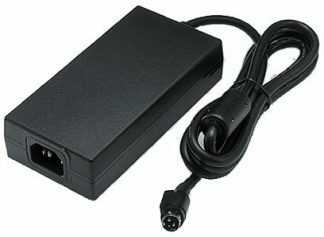 This version of the TM-T82ii comes in Dark grey (close to black) and has both the USB and serial ports. This is super handy if your upgrading POS systems using legacy Serial RS232. It’s fast, reliable, quiet and cheap. PC and MAC compatible. 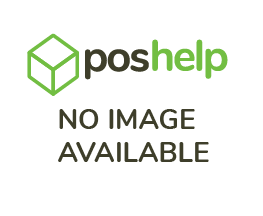 We have a POS support article with links to the TM-T82 drivers. 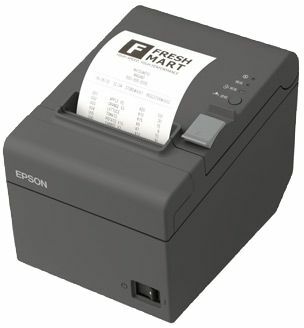 The Epson TM-T82ii receipt printer suits small to medium size retail shops and is compatible with most major POS software brands like Vend, Koutna, Square, Shopify, MYOB, Quicken POS and Retail express. My Epson TM-T82ii receipt printer is not printing receipts? Need the Ethernet / LAN Version for an IPad or tablet? You can buy the Epson TM-T82II Ethernet LAN receipt Printer here. The Epson T82 is a great little printer for for the price. The USB version works well with our PC POS software. Thanks to POS Help for explaining we didn’t really need the more expensive printer initially recommended by our software provider.